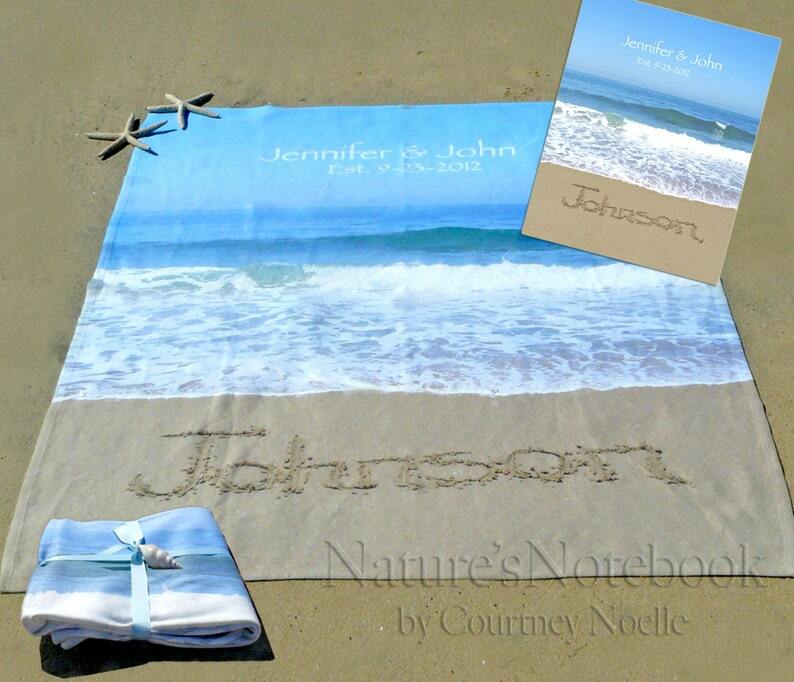 This listing is for a 50" x 60" Full color fleece throw blanket with your custom message in the sand! The blanket is super soft, and washes well! Yes, I actually go to the beach and write your beautiful message in the sand, and capture an image that won't wash away. This is an awesome wedding gift. The couple will never expect this! This unique gift comes perfectly packaged with ribbon, and starfish ornament. There is a certificate of authenticity that explains the message was written on the beach and won't wash away! In addition, there is a bonus FREE gift (4x6 Love Print)! 1.) Please include the message, name & date or message you want written in the sand. 2.) Do you want a starfish or two sprinkled in your photo or dotting the “I” in your message? 3.) Do you want a message in the sky? Just put it in the comments section. 4.) I will send you a proof via email within three days of your order. Once you approve, your order will ship. 1-2 Weeks, need it sooner, just let me know! Ordered this blanket for my daughter and Son-In-Law for their 2nd Anniversary..Love it ! !